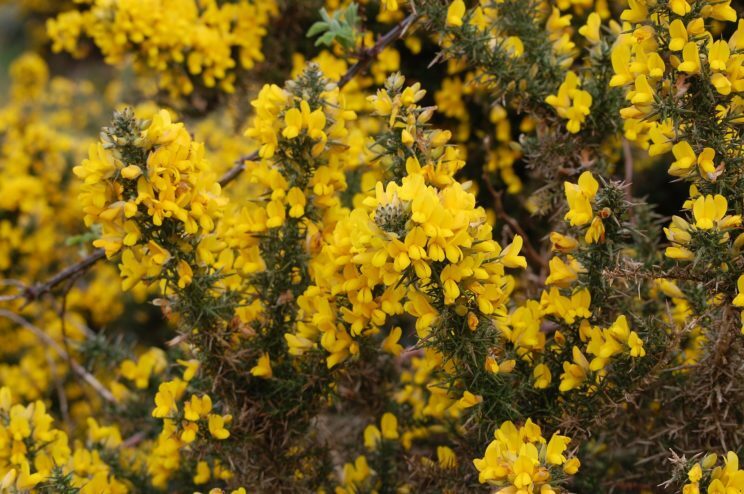 The word gorse has been known since the Old English period and once sounded as gors and gorst. No book I have consulted explains why two variants existed. At first blush, gors-t looks like a few other words with excrescent (that is, parasitic, additional) t after adverbial s, as in whil-s–t, among-s-t, amid-s-t, and the substandard analogical across-t. But gorse is not an adverb, and the development must have gone in the opposite direction: for some reason, t was lost after s, so that the word’s etymology should account for the longer form. With few exceptions, all the sources concentrate on the root and try to explain only gor-. Yet the original division is not immediately clear: for example, frost is, from a historical point of view, fros-t (its root is the same as in freeze), while blast is bla-st (here the root is blow). I’ll mention still another interpretation of –st later. Our earliest etymological dictionaries of English vacillate between nonsensical conjectures (for instance, from gross(e) “dull, corpulent, rude, fat, thick” and even from gore or garbage) and silence. Thus, even Noah Webster, who usually cast his net widely and managed to find some Persian or Hebrew look-alike, had nothing to say. Since gorse is a prickly plant, Charles Richardson, the author of a most useful dictionary spoiled by embarrassingly inadequate etymologies, viewed (though indeed tentatively) gorst as the past participle of Old Engl. iersan “to be angry” (to be sure, being pricked will make you irate). He was a faithful follower of Horne Tooke, who derived as many words as he could from past participles. Yet Tooke did not include gorse in his monumental book The Diversions of Purley! Richardson turned out to be more royalist (Tookian) than the king. Gorse in its full glory. Image credit: Broom Flower Nature by DeNeric. CC0 via Pixabay. Early enough, grass was suggested as the etymon of gorse. The word for “grass” often occurs with the vowel and r transposed (this phonetic leapfrog is called metathesis). For instance, in English dialects, both gers and gris occur. Old Frisian also had gers and gras, while in Middle Dutch, gars, gers, and gors have been recorded. It seems rather unlikely that gorse, a shrub, was called simply “grass.” Also, final t cannot be ignored. Yet this idea persisted for a long time. I’ll quote part of the etymology of gorse from the second edition of The Century Dictionary: “as no cognates are known, the word is probably a native formation, perhaps originally *grōst, literally ‘growth’ (undergrowth? ), with noun-formative –st.” I have only expanded one abbreviation. An asterisk is the sign denoting an unrecorded, reconstructed form. The crucial phrase in the above passage is no cognates are known. Indeed, Walter W. Skeat, in the first edition of his English etymological dictionary, cited no related forms in or outside English. He only noted that gorse is not “grass.” He also rejected Wedgwood’s idea that gorse is a borrowing from Welsh. It should be remembered that Hensleigh Wedgwood was the most prominent etymologist of the pre-Skeat era. Four editions of his dictionary appeared, and a revised American version was started (unfortunately, the project died almost in its cradle). At one time, Wedgwood expected to secure the position of the etymologist of what eventually became the OED. He was a resourceful but unreliable word historian. In the 1850s, he thought that gorse was related to Engl. forest. This was a blind shot. Wedgwood realized it, and in his dictionary cited only Welsh gores ~ gorest “waste, open.” I don’t know Welsh, but my experience shows that Wedgwood’s forms are always correct. Somewhat unexpectedly, Charles Mackay, who was as devoted to Irish Gaelic etymons as Tooke was to past participles, skipped gorse in his book. 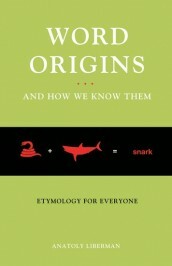 After the publication of Skeat’s dictionary, Wedgwood brought out a “pamphlet” titled Contested Etymologies. It contains many reasonable suggestions, but Wedgwood is practically forgotten, and only those who study sound-imitating words use his work, because Wedgwood paid great (excessively great) attention to onomatopoeia. As regards gorse, he cited a few convincing analogs in defense of his derivation, but did not explain why Old English should have borrowed a Celtic name for a widespread plant. 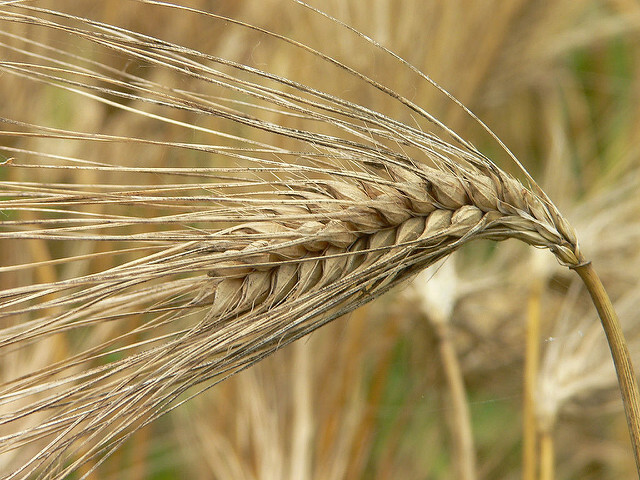 Barley: stickly-prickly, as Kipling might have called it. Image credit: Barley by Craig Nagy. CC BY-SA 2.0 via Flickr. The deadlock was broken when James A. H. Murray, the editor of the Oxford English Dictionary, suggested that gorse did have a cognate, namely, German Gerste “barley.” Murray was an incredibly well-read man. Yet it is hard to tell how many sources he used in every given case. In the mid-1830s, Konrad Schwenck published a German etymological dictionary (still earlier he published a similar Latin dictionary), and in the entry Gerste we find Engl. gorse as a cognate. Someone at Oxford may perhaps tell us whether Murray had access to Schwenck’s dictionary, but, as far as I can judge, this comparison was not noticed, and Gerste appeared sporadically in dictionaries in connection with gorse only after the publication of the letter G in the OED. Sitting on the fence and wondering where the word gorse came from. 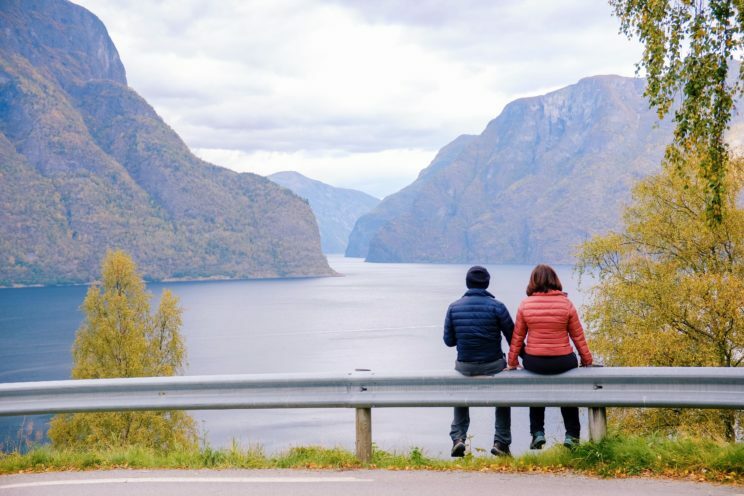 Image credit: Fjord is opening up by Bambi Corro. Public Domain via Unsplash. One wonders whether the names of gorse and barley can be related. Indeed they can or rather they may. Plants often get their names from their appearance or function. The older such a name, the harder it is to decipher its meaning. If gorse and Gerste share the feature “prickly,” Schwenck and Murray’s comparison has potential, but specialists are far from being unanimous on this point. However, it should be remembered that specialists are not oracles but rather befuddled human beings. Their verdicts do not always have a solid foundation. Some people believe that gorse and Gerste are related, while others stay on the fence. Since modern dictionaries try to be fully reliable (better safe than sorry), their silence does not necessarily mean disagreement. Friedrich Kluge, the author of the first truly modern German etymological dictionary, never mentioned gorse in the entry Gerste, but his immediate successors added it. The latest editor returned to the original version. Skeat in the concise edition of his dictionary traced gorse to the ancient (Indo–European) root of Gerste, without citing this German word, and thus tacitly, but perhaps reluctantly, joined Murray. 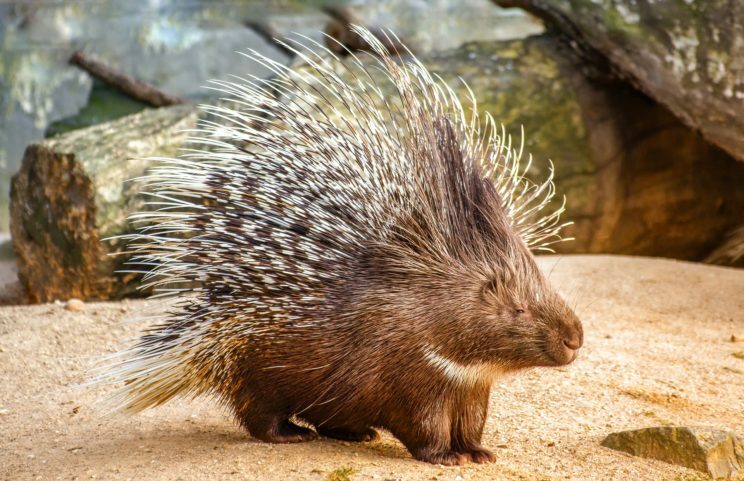 This is a porcupine, the very embodiment of an Indo-European root. Image credit: Natural Animal Porcupine by analogicus. CC0 via Pixabay. The root in question is supposed to mean “stand on end, bristle,” with reference to the plant’s awn, or beard; related is Latin hordeum “barley.” Quite recently, two etymological dictionaries of Proto-Germanic have been published. In one (by Guus Kroonen, 2013), the Latin, Greek, and Armenian cognates of Gerste appear, but gorse does not. In the other (by V. V. Levitsky, 2016), gorse is present. It will be fair to conclude that the etymology of gorse is in limbo, and this is where we will leave it until next week. Featured image credit: Gorse here heather there by The Legend Kay. CC BY-NC-ND 2.0 via Flickr. A conceptual rather than etymological link: Lancashire and Yorkshire miners referred to their underground sandwich lunch as a piece. I am wondering why Latvian briest – to grow, to get ripe, increase is not in the list of possible origins. Briest-brieda , Lithuanian bręsti-brenda. Nowadays it has nothing to do with yeast rising as in rūgt, but it has also the meaning of something preparing as a conflict or scandal. Amazingly enough brist- brien-brida ( to wade) is walking through waters. One could easily link any of these meanings to bread making or eating. In Glasgow a ‘piece and jam’ is one slice of bread with jam on. The English word “grass” comes from the Greek word “grassidi”, also meaning grass. Whose root “grasso” is attested in Classical Greek. As often happens, a multisyllabic Greek word reduces to a monosyllabic English equivalent. The ending “-idi” in the Greek “grassidi” has the sense of “surface”. A Brazilian friend recently wrote the word sibbling – a spelling that seems reasonable to me. It got me thinking. I have two questions: 1. Is the germanic -ing suffix (companion/relative/follower of -) related to the Latin -ino suffix? 2. Is sibling derived by metathesis from selfing?